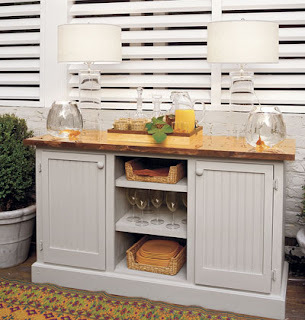 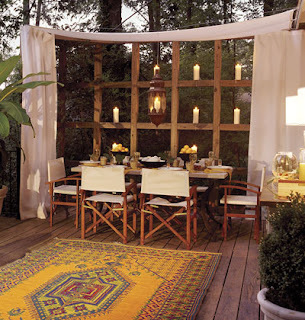 ReDesign Concepts Blog: Dining Al Fresco! Adding a warm ambiance, candles are key when dining al fresco. 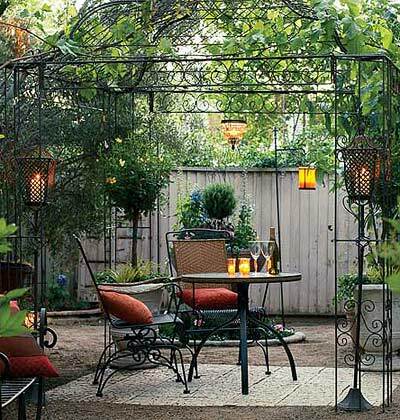 Place them on a 'wall' surrounding your sitting area as shown below, on a table, or hang them from a gazebo or pergola using a candle chandelier. 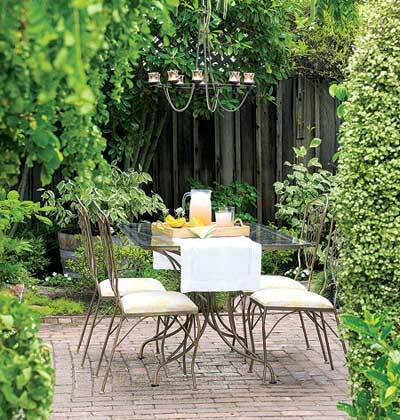 Here are some great ideas for dining al fresco... light the candles and enjoy the ambiance. 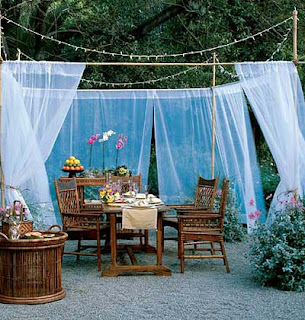 This outdoor space was created with mosquito netting held up by bamboo poles implanted in flower pots on each corner. Strings of lighting were hung across the top for that nighttime glow.